Achieving readiness through supply availability and supply chain depth were the cornerstones of U.S. Army Aviation and Missile Command's quarterly update with the Commander of the Army Materiel Command, Gen. Gus Perna, July 9. AMCOM Commander, Maj. Gen. Doug Gabram, and his staff laid out for Perna how AMCOM is taking action to meet Perna's intent of achieving 100 percent supply availability. According to Gabram, AMCOM's key focus areas are centered on building and maintaining sustainable materiel readiness. AMCOM is achieving this by focusing on key readiness drivers, initiatives to support item managers, stronger industry partnerships, and driving synchronization as the Army's aviation and missile materiel integrator. "Since we began our initiatives in 2017, we have made significant changes," Gabram said. "We have pockets of excellence and everyone is working hard." Army senior leaders are action oriented when it comes to achieving readiness, Perna said. That focus has enabled forward momentum in achieving sustainable materiel readiness for the Army. "[The Chief of Staff of the Army, Mark Milley, and Secretary of the Army, Mark Esper,] have a vision for readiness and they are moving out," Perna said. "They are not holding to the old ways of doing business and it has enabled us a great deal." Perna previously defined supply availability as having the processes, leading indicators and leadership in place to holistically grow the breadth and depth of the supply chain. 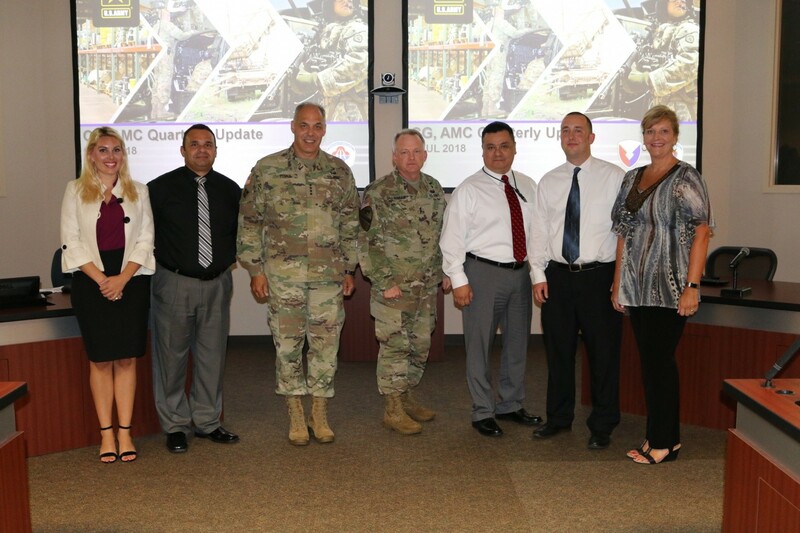 As the Army's lead materiel integrator for aviation and missile systems, the AMCOM leadership team has tackled the task of identifying the processes and metrics needed to best articulate the command's success in terms of operational output to the Soldier. Gabram has taken several initiatives that are bringing his vision to life. His initiatives include engaging directly with the AMCOM Logistics Center's workforce to establish training and other initiatives that will allow the item managers to perform their duties more effectively. He is leading efforts to maximize supply chain performance by refining and optimizing business processes at ALC and depots. AMCOM is engaging directly with aviation and missile unit commanders in the field to monitor readiness and immediately address concerns about the health of their equipment. 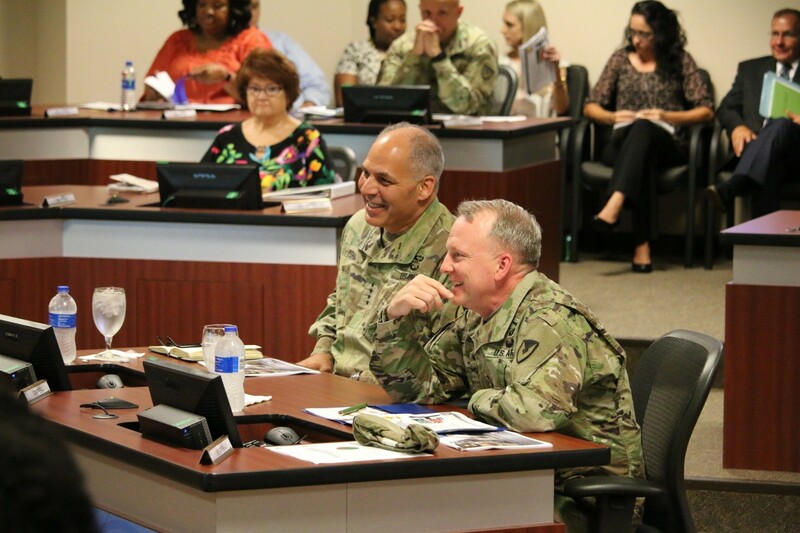 As the commanders discussed the metrics and status of current aviation and missile readiness drivers, Perna encouraged AMCOM to continue to lead the way to achieving the 100 percent supply availability target. "AMCOM isn't doing this in a vacuum," Gabram said. "We have got the whole team from across the aviation and missile enterprise supporting us on this effort." Perna also took the opportunity during the briefing to honor employees for going above and beyond in their efforts to support readiness and supply availability. Perna meets with each of the AMC major subordinate commands quarterly to provide his intent for the command moving forward and to gain insight into the individual initiatives they are using to accomplish their missions. "This is a great initiative," Perna said, "Great work; that's what I'm looking for... it's all about the bigger picture and a holistic supply chain. Keep moving." "If you are going to change your organization, you have to reward the people who do right," he said. "Thank you for allowing me to honor these five great employees." April Whisenant, for successfully managing multiple top readiness drivers towards wellness.